As Manufacturing and Supply Chains become more technologically adept, are you prepared and ready to adapt and create new business strategies? Business leaders: Have you figured out what it will take for your organization to connect the physical supply chain to the digital one? Students and employees: Have you evaluated your education path and current skill set? 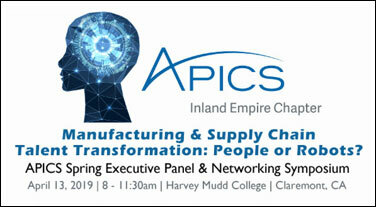 Does it/will it meet the new era in Manufacturing & Supply Chain?